1990’s were great! The 90’s period had their own charm. Majority of people in their 30’s have seen their childhood through the 90’s era. Most of us get nostalgic thinking about our early adolescence. Let us take you on a trip down to the memory lane. The technological advancements were at the minimum. People socialized through meeting each other face to face and not via internet. Mobile phones held less value in our lives. Personal lives were meant to be kept personal. Things were simple and less complicated, we believe. It was more fun back then. Here is a list of nostalgic things that will make you miss those golden years, even more. There is no other “feel good” movie like Good Will Hunting. Stars like Matt Damon, Ben Affleck were young and vivacious actors back then. The storyline was grabbing and made us feel good after watching. This action thriller is known to all 90s kids. It was released in October 1997. The suspense, drama, and performance of actors like Sarah Michelle Gellar captured our fancies, back then. TV shows like Ally Mcbeal made us glued to the television. This legal comedy and drama series ran from 1997 till 2002. This made us so nostalgic. Who could have thought that golden retrievers can play basketball? They did, in this 1997 family flick and made its way to her hearts. Dogs are a man’s best friend. Vampires were trending in 90’s and what’s better than the arrival of Buffy The Vampire Slayer with an ultimate 90’s star cast. Great tunes, some fashionably lyrical females with funky hairstyle who redefined music. That was Spice Girls for you. Who remembers their “Wannabe” of 1996? Me, Me, Me!! Singers in an all-boys gang, that was too good to be true. With Backstreet Boys singing every song showed the meaning of being in love (that too early for love). We just love their lyrics and music till now. Julia Roberts and Cameroon Diaz starred together in this 90’s favorite romantic comedy, My Best Friend’s Wedding. Mushy-Mushy love anyone? Alien chronicles got so much serious with Men In Black. The duo – Will Smith and Tommy Lee Jones went on kicking those aliens real bad in this 90’s exciting watch. 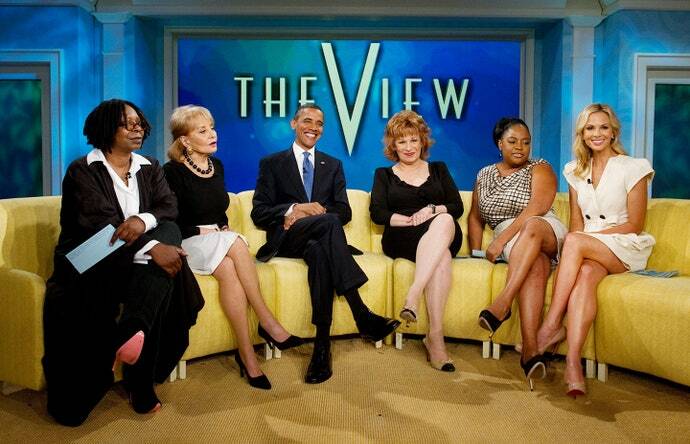 The famous talk show, The View aired in August 1997. The morning was so much interesting with this show. Weren’t they? The high school bash and the reunions can make any one of us so, so nostalgic. These feelings were amazingly presented by Lisa Kudrow and Mira Sorvino in Romy and Michele’s High School Reunion. A love story like the one shown in Titanic will live forever and ever. Here’s to Jack and Rose’s never-ending romance. This animated series from 1997 glorified the legend of Hercules and Greek mythology. We enjoyed watching it, definitely. Super Hero fun of 90’s may have been sans the special effects like today but the thrill was unbeatable till now. One of our favorites, Anastasia was an animated series which redefined fairy tale storytelling. The song was cute, funny and catchy. Pop song music trended in the 90’s and we loved it to the core till now. We still see as that crazy yet funny scientist, Robin Williams in this one of kinda science fiction movie from 1997. We still miss Daria from the 90’s animated sitcom. She portrayed just another American woman with her own personal perils. Still, we can relate to her. Shania Twain not only symbolized a mesmerizing voice but also put forth an enchanting personality. Her singles were extremely lyrical and gluing. The spy who made us laugh, wittingly. Austin Powers was no other spy like James Bond. He was funny, emotional but focused. Watch his movies and feel the 90’s magic unfold all over again. Share your comments below if you think we missed out your favorite!